A new era is underway at Olympiacos Piraeus following the exciting summer appointment of former EuroLeague-winning coach David Blatt. And after missing out on the Final Four last season, the Reds will be gunning for a return to its customary slot among the best this time around – and there are sure to be some explosive moments along the way. Coach Blatt’s tenure in Piraeus faces a severe early test, with Rounds 5 to 9 containing games against CSKA Moscow, Panathinaikos Athens, Fenerbahce Istanbul and Real Madrid in the space of just three weeks. The last of that sequence is a home meeting with the reigning champs from Madrid and if Blatt can take Olympiacos through that horribly testing phase of games relatively unscathed, we will know his team is for real. 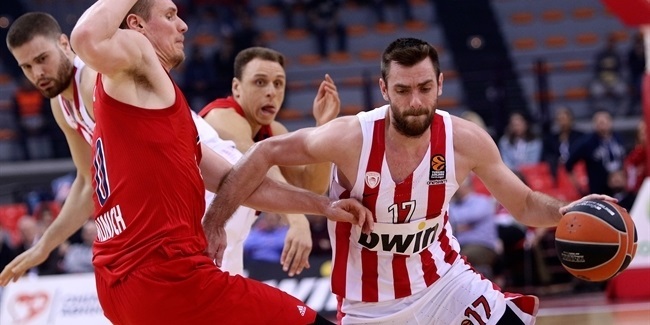 There have, of course, been several thrilling showdowns between the teams in recent years and the latest installment of the backcourt battle between Vassilis Spanoulis and Sergio Llull – which skipped a year due to the latter’s injury last season – will be particularly worth watching. 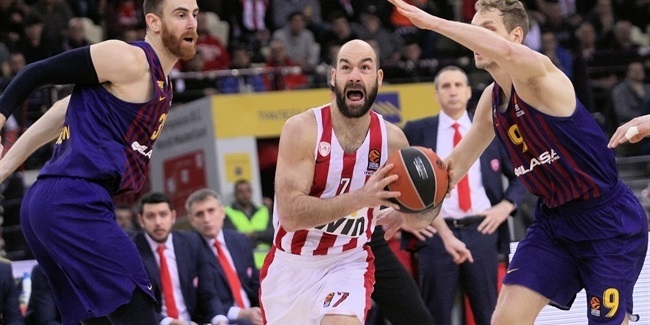 Zalgiris Kaunas featured very heavily in the conclusion to the 2017-18 campaign for Olympiacos – and not in a way the Reds will remember fondly. First Zalgiris triumphed in Piraeus in the final week of the regular season and then followed with three more victories in the playoffs series between the teams, rudely ending Olympiacos’s hopes of another title. They meet again for the first time in Round 11 in Lithuania, where at least one member of the traveling roster will feel at home; forward Axel Toupane joined Olympiacos from Zalgiris this summer. 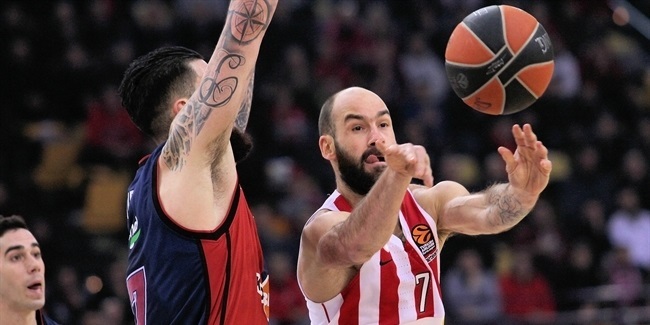 For passion, devotion and local pride, there is no fixture in the Turkish Airlines EuroLeague that beats the intensity of the derby of Athens between Olympiacos and near-neighbors Panathinaikos. The old foes first meet this season in Round 6 on Panathinaikos's home floor before getting the New Year off to a flying start with a rematch in Piraeus on January 4. This Round 16 matchup also marks the start of the second half of the EuroLeague season, providing even more impetus – if that’s possible – for both teams to perform in a game that will also feature Ioannis Papapetrou’s first return to Piraeus since swapping clubs in the summer. Memories of 2014 will be in the air in Round 22 when Olympiacos boss Blatt leads the Reds to Israel to face Maccabi FOX Tel Aviv – the team he took to EuroLeague glory five seasons earlier. Maccabi’s triumph in Milan, overcoming Real Madrid in a classic championship game, secured Blatt’s legacy in Tel Aviv forever, and he is sure to receive a warm welcome from his old fans. Among the players he’ll be facing is Alex Tyus, who played a huge role in Maccabi’s 2014 glory by bagging a double-double in the title-sealing victory over Madrid. But once the ball goes in the air, those old friendships will be forgotten during a game which comes as the regular season heads into the final stretch. Maccabi is not the only team with which Blatt has enjoyed glory on the continental stage; he also triumphed with Darrusafaka, ending his two-year stint with the Istanbul-based team by lifting the 7DAYS EuroCup at the end of last season. That title was enough to send Darussafaka back into the EuroLeague, and now the fates have conspired to pit the Turkish team against its old boss on the very last week of the regular season. The meeting in Piraeus could obviously be crucial for both sides, potentially leaving Blatt in the awkward position of having to eliminate his old team from the competition – or perhaps be eliminated by them.